Have you ever noticed a bunch of links below a particular website when you searched for a particular term? They give you a lot of information about what the website is and perhaps the best links on the site that are relevant to your search. The question is – how do you get them? 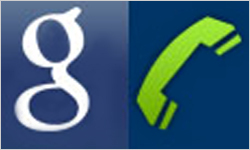 Google Sitelinks acquired its name in 2006. Here is a sample of a Google Sitelink listing for you. I have typed in the keyword “AlarmForce” and this is what I get. If you look under the URL you will find a bunch of links – yes, they are the Google Sitelinks I am speaking about. Not all websites get this, just a select few. Undoubtedly, it enhances site visibility. So What Makes A Website Get Site Links? Here are some of the things Google looks at in determining sitelinks for your website. Natural traffic – possibly due to the high popularity it is gaining, hence traffic is easily flowing in. The click through rates are at a satisfactory level that comes from the SERPs. 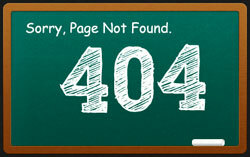 High quality inbound links that help increase the rank and relevancy status for that page / website. Good outbound links as well to reputed type websites. While these are just some of the pieces of info going around in the web world, these strategies or possibilities are the benchmark to achieve a well earned sitelink. One fact is that Google uses tracking information, to track the behaviour of your website performance. Based on the tracking information – there is a definite criteria that we can assume that Google uses for definining sitelinks on your website. So what can you do to help Google offer the best sitelinks possible? Making your website do well to acquire a Google sitelink. 1. Make your site SEO friendly with proper page title and meta information, inter links, optimization for images and so on. Try to make your meta information as accurate as it can be so that its easily searchable. 2. Ensure your website has a unique name. Names that are too common are not easily remembered. Its not a good idea to have your website that talks about say – pizza – to have names like your-best-pizza-joint-next-door.com or this-or-that-pizza-palace.com. If the domain name is unique, obviously it has a better chance in the SERPs, which means you fare a better chance than most average websites do. 3. In simple terms, if you chose a proper, well structured navigation for your website, chances are you will have a proper flow presented to your visitor. 4. Best of all, use HTML to its fullest. Simple, elegant HTML codes work best. Using CSS and Div codes are very fashionable. Use them to make your site load faster for the benefit of your visitors. Sitelinks present a different perspective for your website and help build a positive reputation. I can't certainly say what the algorithm is being used here, (as I don't work for Google!) however, if you keep in mind the 4 rules mentioned above, you will have a better chance of offering your visitors more options to click into your website! Thanks for the info. I thought it was just a promotional strategy for the inner pages. But it turned out to be the relevant pages. That's a good option from Google. Less time and effort! Thanks for the info. I thought it was just a promotional strategy for the inner pages. But it turned out to be the relevant pages. That's a good option from Google. Less time and effort for users! I do find Google Sitelinks really helpful because it provides more valuable search results. As these Sitelinks are generated automatically it boosts site's visibility and reputation and thus provide more traffic. The tips to acquire Google Sitelinks for my website is really informative. Really informative and exciting read. Instead of looking at their own site's link potential webmasters are busy trying to find links from other sites to link to them. 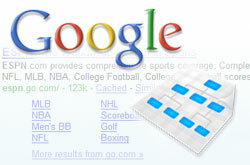 Having sitelinks displayed on Google is a matter of pride for every webmaster. Ah now that means serious business to get to the top and have your website 'stand out' among the crowd. Definitely, it pays to have a simple elegant website that you can be proud of once your niche has really achieved what it needs!